Adult Life Skills is a quirky and touching story about dealing with grief in a novel way. It is the debut feature film from writer/director Rachel Tunnard, based on her award winning 2014 short, Emotional Fusebox. Adult Life Skills is richly imaginative with memorable characters. The rural English setting contributing greatly to their funny, sometimes heartbreaking interactions. I did tire quickly of the folksy, indie-rock soundtrack. It’s like a guitar strumming, cafe hipster wailing incessantly for the entire runtime. Jodie Whittaker stars as Anna. On the cusp of her thirtieth birthday, she lives in a shed in her mother’s backyard. Anna spends her time making films with her fingers as characters. She has a part time job working at a nearby day camp for children. She’s always late, racing through the English countryside on a bmx bike. Anna has not come to terms with the death of her twin brother (Edward Hogg). Her entire life has been put on hold as she struggles with loss. Anna’s mother (Lorraine Ashbourne) has had enough of her moping. She’s demanding that Anna move out of the shed. It’s a daily, hilarious battle between Anna, her mother, and horny grandmother (Eileen Davies) about their living situation. Fiona (Rachael Deering), Anna’s best friend, returns to town to help her move on. She notices the attention Anna gets from the awkward Brendan (Brett Goldstein). Anna does her best to avoid dealing with life. But everything changes with the introduction of Clint (Ozzy Myers), a neighborhood boy with a terminally ill mother. The film is pretty much staged as days in the life of Anna. She climbs out of the shed, bedraggled, fighting to deal with the cloying attention of her relatives and friends. She’d prefer to hide away, make her movies, and toil in the memory of her dead twin. Grief is a cage and a shackle. Adult Life Skills are what Anna does not have. There is a tenderness and warmth to her journey. 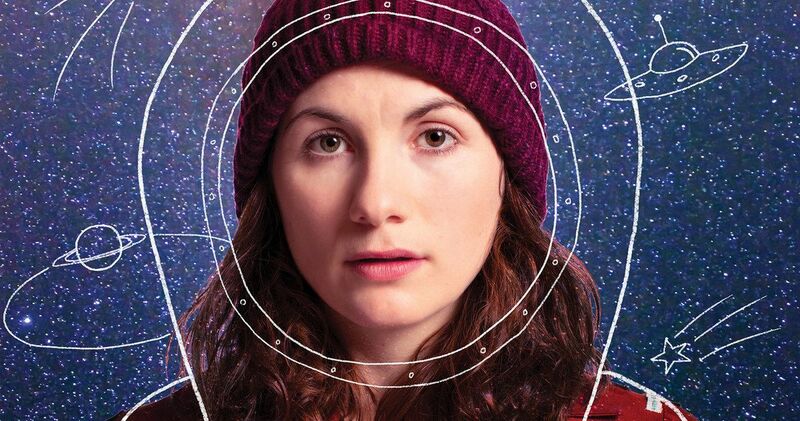 Jodie Whittaker, the current Doctor Who, an actress I’ve admired since her star making turns in Venus and Attack the Block; is tremendously endearing in this role. She makes Anna a character to root for. Her problems are understandable. Losing someone that defined your existence is devastating. Adult Life Skills could have been overly sentimental and sappy. Rachel Tunnard does a great job interspersing creative elements to lighten the mood. Anna’s thumb film evolves as she does. These scenes are quite clever. There also flashback short films of Anna and her brother. They are tributes to eighties and nineties nostalgia. Anna’s adoration of Patrick Swayze and David Hasselhoff is hilarious. Rachel Tunnard shows some talent here. I’ll be curious to see what she does in her next film. Adult Life Skills is a small film with a lot of heart. There are no seismic events or twists in the plot. I was honestly surprised that more doesn’t happen in the script, but came to appreciate the simpleness of the story. A fair criticism would be that the funny thumb film and goofy flashbacks are filler to add length to the runtime. I think they reinforce Anna’s inability to deal with reality. Her little shed is a safe place to hide away from hurt. It’s therapeutic at first, but then becomes Anna’s emotional prison to escape. Adult Life Skills was a big winner at the 2016 Tribeca Film Festival. Rachel Tunnard won the Nora Ephron prize, which is given to the best female director. Her offbeat film deserves and is finally getting a wide release. I would have enjoyed it more without the hipster soundtrack, but a minor quibble overall. Adult Life Skills is distributed by Lorton Entertainment.